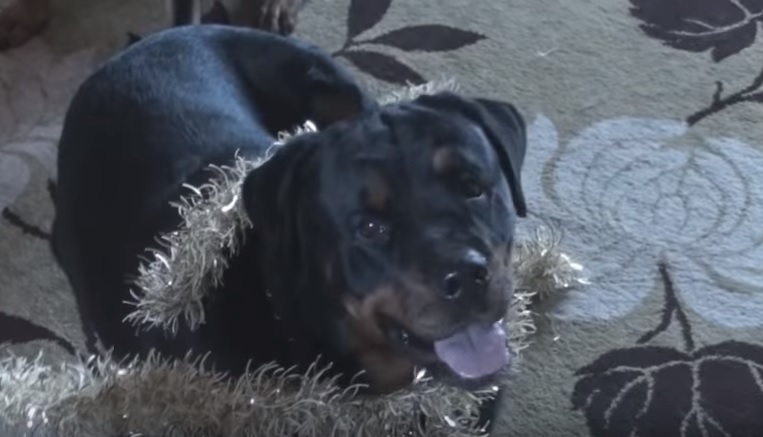 Rottweilers cause trouble inside the house and destroy christmass tree ! It is very important for Rottweilers dogs to live in the home with their people because if they are left alone in a backyard all the time, they can become bored, destructive, and aggressive. Although they're large dog breed, Rottweilers are inactive indoors, It is highly preferable for you to tell the breeder what kind of energy level suits you so they can help you to choose the best puppy for your lifestyle. Oh so what, they're too cute to get mad at. I know better than to ever put up a tree. or you can teach your rottie to stay away from the tree.. i sure have..
Small mousetraps will do the trick. Never yell at your Rotty, it doesn't help.